Lots of firsts in my regular Magazine update, as this time there’s half a dozen Magazines included for whom I have penned down articles. Lots of work for me and lots to read for you! 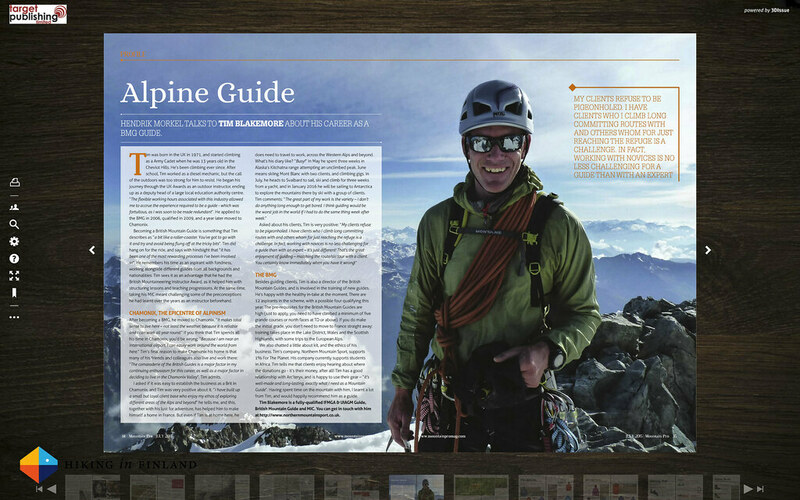 For the digital Mountain Pro Magazine I interview the BMG Mountain Guide Tim Blakemore whom I met last year at the Arc’teryx Alpine Academy. It’s a nice story that looks at the work of a Mountain Guide and fits well in with the Alpine topic of the issue, where also Jon Griffith, Alex Roddie and many others have contributed fascinating stories. Available for free online. 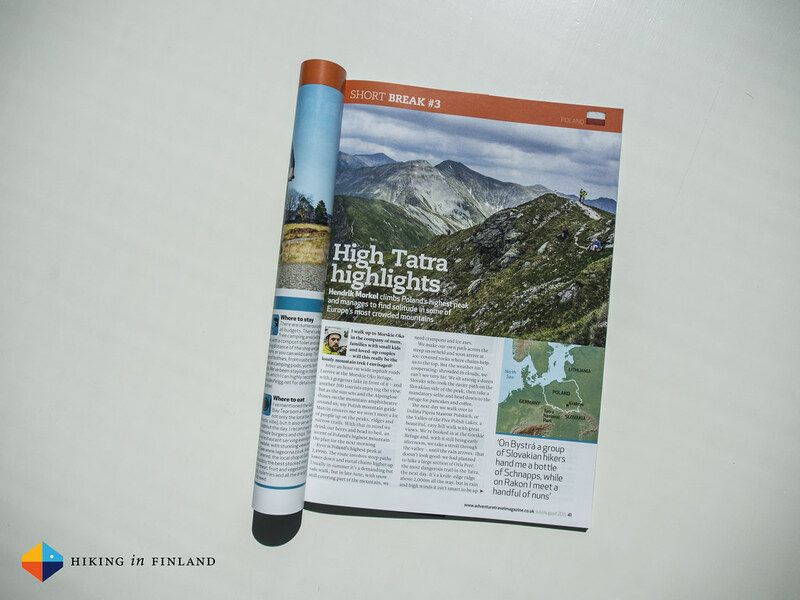 In the Adventure Travel Magazine I wrote about my Polish Tatras trip last year, and the change from busy streets to lonely summits. It looks great and has all the details to plan your own trip to the Tatras, which I too hope to visit again very soon. Buy the magazine online or at your local news agent. 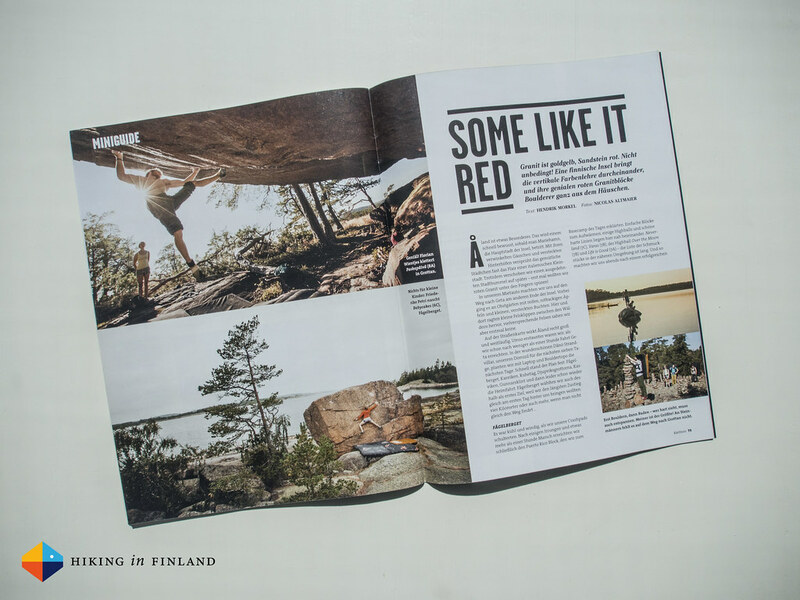 My first story for the German klettern is about our Åland trip last autumn and features the stunning photos of my mate Nico Altmaier. It’s a great looking Mini Guide to an area which surely will see a lot more visitors soon! Order it online or pick it up at your news agent. For the trekking Magazin I reviewed my favourite summer shirts and wrote a reportage about packrafting and how it opens up new possibilities for backpackers and trekkers. 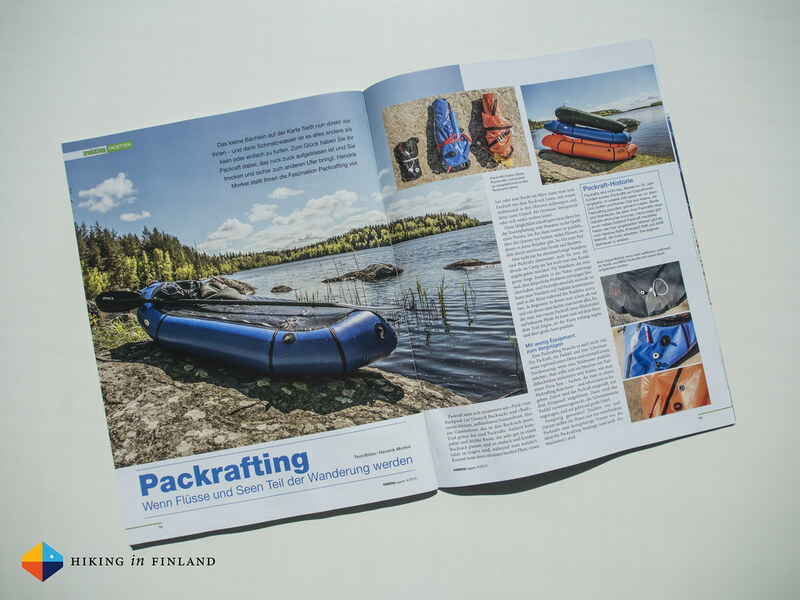 It’s a fine looking article with lots of infos on four different packrafts I have tested and a variety of packrafting gear. You can pick it up at your local news agent or order it here. 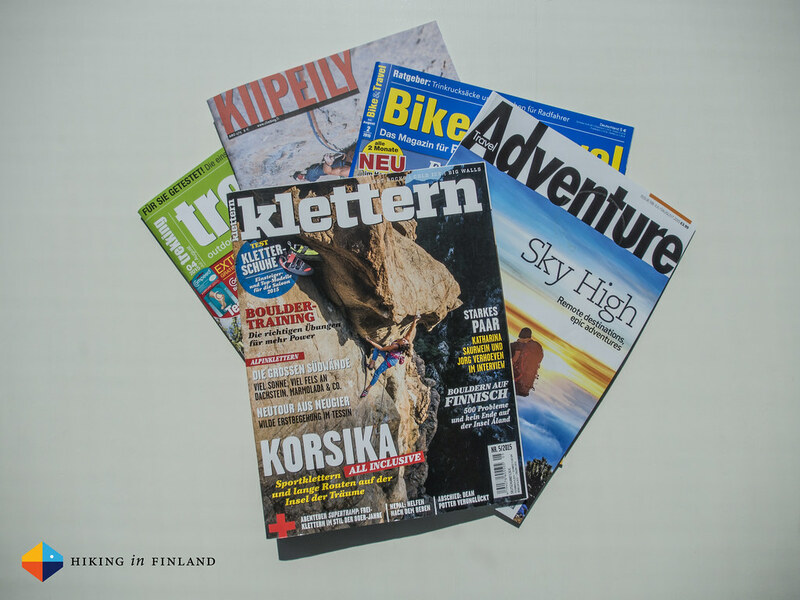 I joined the Finnish Climbing Association as a Gear Editor at the beginning of the year and will have a regular gear review column in the magazine. In this issue I reviewed the Petzl Hirundos harness and the Mammut Smart, both items which I rated very high. 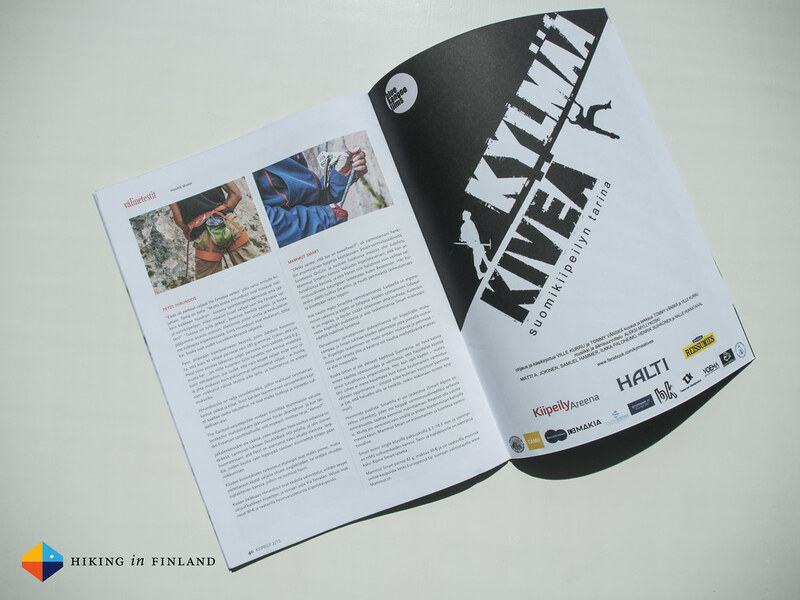 To get the magazine join the Finnish Climbing Association. 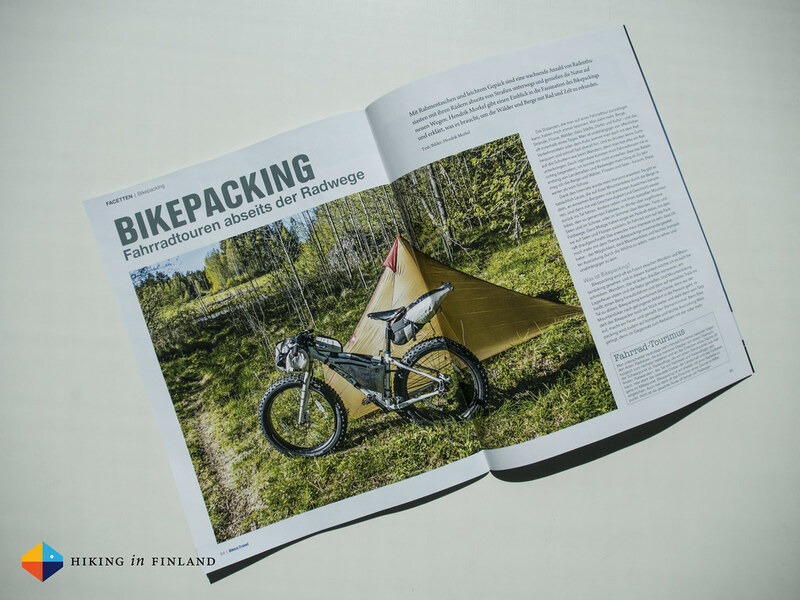 And finally I wrote for the newest German cycling Magazine Bike & Travel about Bikepacking and exploring non-paved roads with your bike and about staying hydrated on your bike. You can grab a copy at the news agent or order it online.